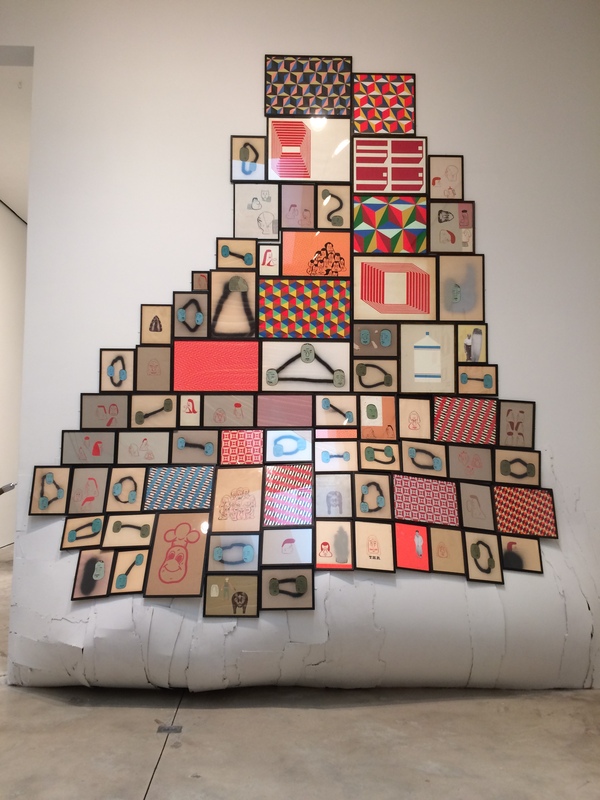 Known for his free-for-all type of installations, Barry McGee is consistent in his unpredictability. His newest display at Cheim & Read Gallery consists of hundreds of objects. There are stacks of objects and dozens of paintings on canvas wood and cardboard. There is one prevalent theme throughout the space and that is the use of geometric patterning. 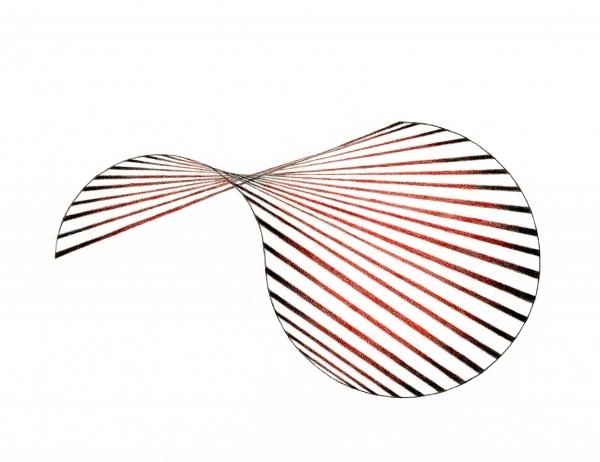 This collection of shaped paintings is a single work of art. Each shape is filled with a tiling of geometric patterns. 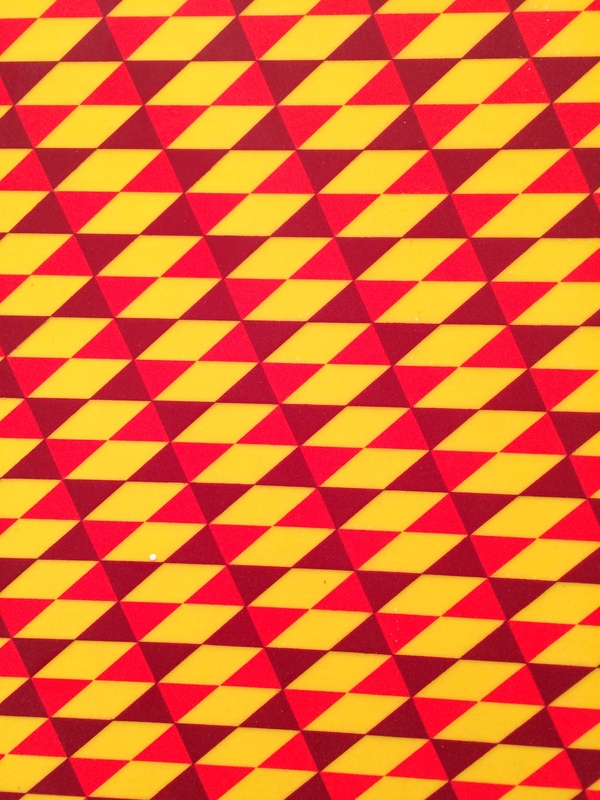 Here is an example of a tiling made up of yellow Rhombuses and isosceles triangles in two shades of red. 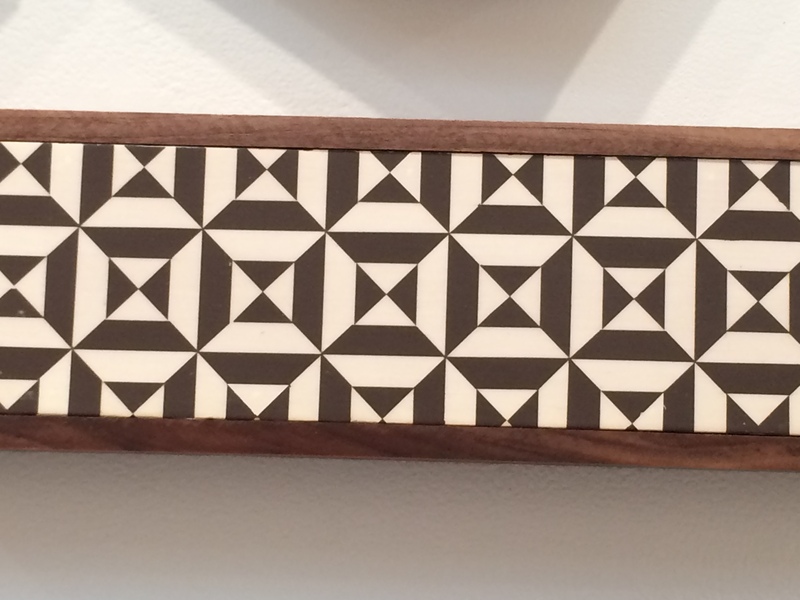 This black and white design features squares set on the diagonal with alternating bands of black and white. Here is another wall in the gallery, consisting of a collection of framed works on paper. The wall has been sculpted to bulge out at the bottom. 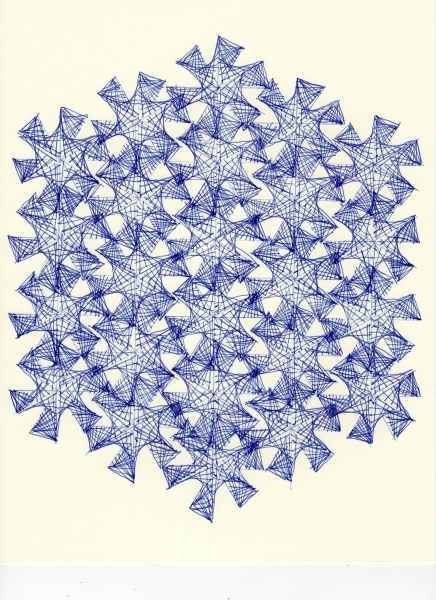 In this assortment of drawings there are more of the tilings, but there are also illustrations of geometric figures. 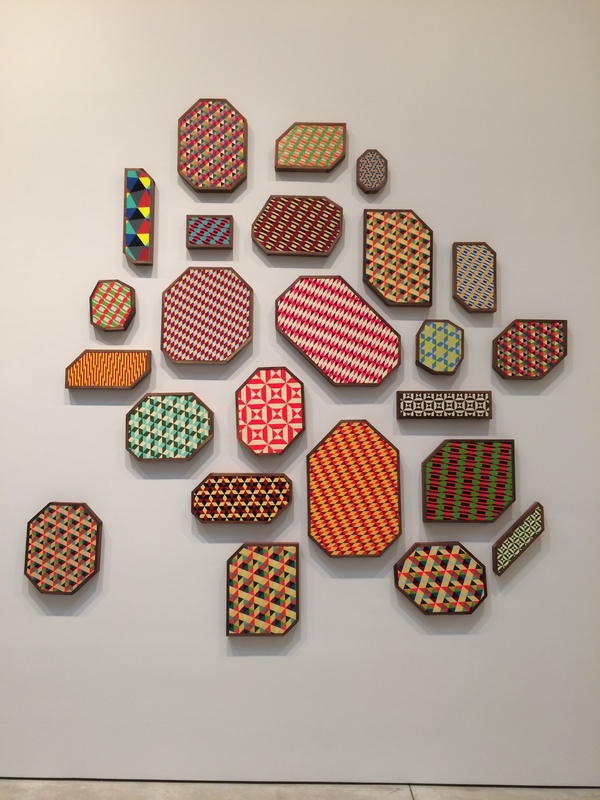 Within the random nature of McGee’s installation the impressive use of mathematical patterning becomes a unifying factor. It is Januar and that means it is time for the Joint Mathematics Meeting. This year the conference was held at the San Diego convention center and had an attendance of over 5000 participants. The JMM Art Exhibition is always a great way for me to start of the year. 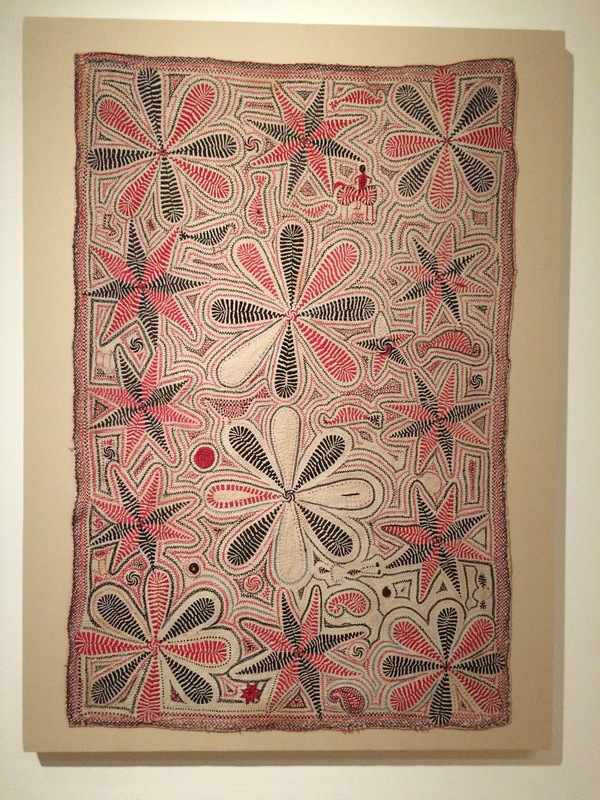 There is always a very diverse selection of art on display, featuring many different themes, techniques, and materials. I was not disappointed this year. I will only be able to mention a sampling of the of the great work…but here are a few of my favorites. 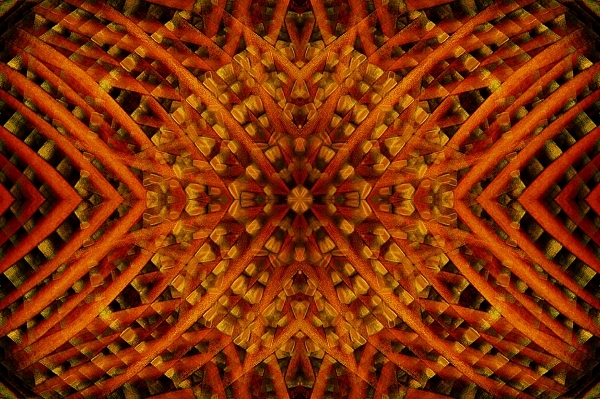 Photographer James Stasiak’s print “into the sun” transforms an original photograph into a mandala type abstraction through the use mathematical manipulation. Photo editing software allows Stasiak to carry out his prescribed sequence of rotations and reflections to create symmetrical properties. The result is a dense web of color that draw the viewers eye into the center of the print. 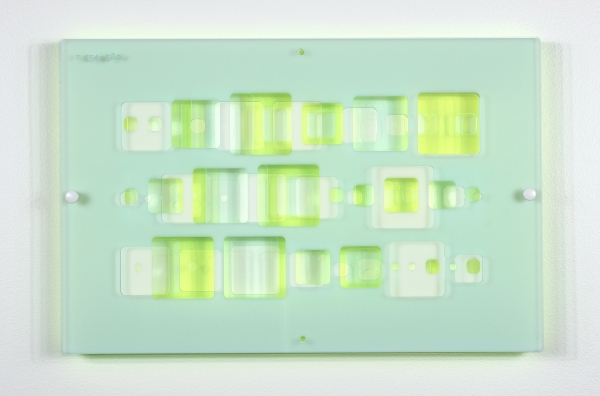 Yvette Kaiser Smith has created a language of shapes to represent digits and then laser-cuts these shapes into colored transparent acrylic sheets. The sequence of these shapes is based on the sequence of particular sets of digits found within the irrational numbers e and pi. Irrational numbers are numbers that cannot be written as a fraction and have never ending, non repeating decimal representation. The work in the exhibit “Excerpts from pi (187-210) (554-580) (685-711)” features three panels The top panel shows the 187th to the 210th digit in the number pi. By layering the panels of different colors with space between them Smith has created a complex arrangement of shape light and color. The irrational numbers and especially pi have a type of mysterious reputation and a history of human fascination. 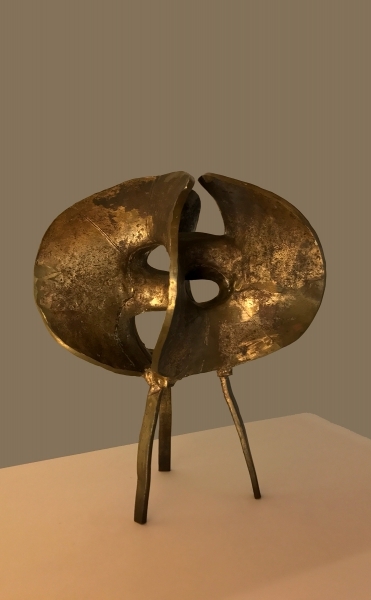 This sculpture examines the number at it’s most finite level and then through technique and material expresses the beauty within.